Fuwa K-Hitch has partnered with Swinburne University and Ballarat consultancy Bisitecniks to design a fifth wheel testing laboratory in Melbourne. 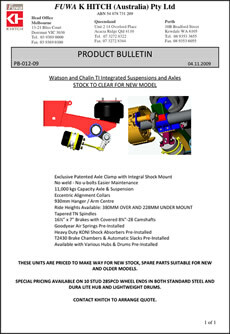 A Victorian first, it has already helped with the certification of Fuwa’s latest cast turntable model. 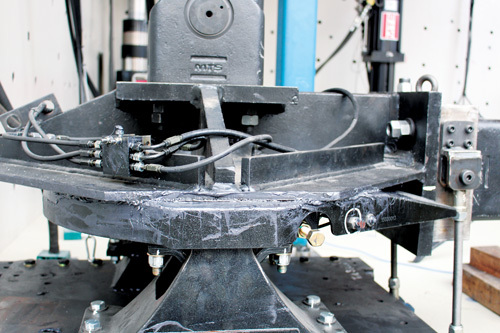 Until recently, testing the mechanical properties of a fifth wheel was a job that had to be carried out in Brisbane or Sydney, as the hydraulic equipment necessary is rare, expensive and complex to handle. For a long time, the two cities’ universities were the only institutions in the country allowing private enterprises access to such technology. But with Swinburne University recently opening a $15 million ‘Smart Structures’ Laboratory in the Melbourne suburb of Hawthorn, local transport equipment expert Fuwa K-Hitch sensed an opportunity to finally bring some professional turntable testing capacity to the state of Victoria. 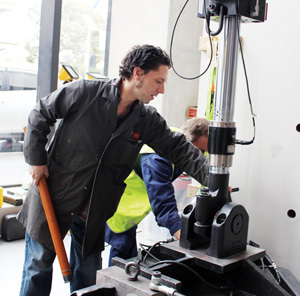 At the heart of Swinburne’s Hawthorn Laboratory is a Multi-Axis Substructure Testing (MAST) device, which is effectively able to simulate a fully-fledged earthquake. Driven by a large underground pump hidden beneath a metre of concrete, it inspired the team at Fuwa K-Hitch to utilise some of the force behind it to put the brand’s first-ever cast fifth wheel model to the test. 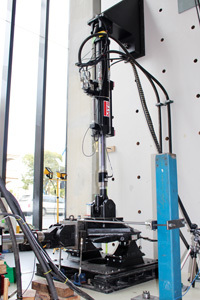 “While we knew the Smart Structures Laboratory was primarily built to test the integrity of architectural structures, we couldn’t ignore the potential use the lab’s giant hydraulics system may have for the testing of transport equipment,” says Markus Sidler, Product Manager at Fuwa K-Hitch and the driving force behind making professional turntable testing capacity available in Victoria. According to Paul, the ADRs require a new fifth wheel to endure a strenuous fatigue test that sees it oscillate some two million times over the course of a fortnight – equating to about a decade of constant usage. “It is quite a gruesome test that would have uncovered any weaknesses of the product immediately, but I have to say that Fuwa K-Hitch’s new cast fifth wheel performed exceptionally well,” he explains – adding that the paperwork for ADR approval is now on the way to Canberra. In addition to the fatigue test carried out in Melbourne, Bisitecniks also performed a so-called overturning test at its facilities in Ballarat, as required by the ADRs. This test demonstrates how a new fifth wheel would cope with the lateral forces occurring during a roll-over scenario. Fuwa K-Hitch’s new model passed that test as well. “After having it independently tested in Melbourne, we are extremely confident that our new cast fifth wheel will shake up the market once it goes on sale at the end of the year,” adds Markus. “The fact that we have invested in the creation of a local testing facility should be testament of how important the project was for us as an Australian business, but of course the transport community will have the last word when the product finally hits the road. Fast Fact: Fuwa K-Hitch’s new cast fifth wheel can boast bolt pattern feet for easy interchangability and has proven locking components that are the same as the current service parts in the fabricated range – ensuring parts identification and replacement is easy and cost effective. “We have taken already known and trusted know how and incorporated it into our new era of fifth wheels with further model expansion to come,” says National Sales Director, Chris Barrett.